Built in 1874, Chateau Bellevue is romantic and elegant, with French Romanesque arches, beautiful courtyard grounds, a spacious ballroom, ornate hand carved woodwork and stunning stained glass windows. Chateau Bellevue is a unique venue for all special occasions, including weddings, corporate meetings and special parties – one your guests are sure to remember. 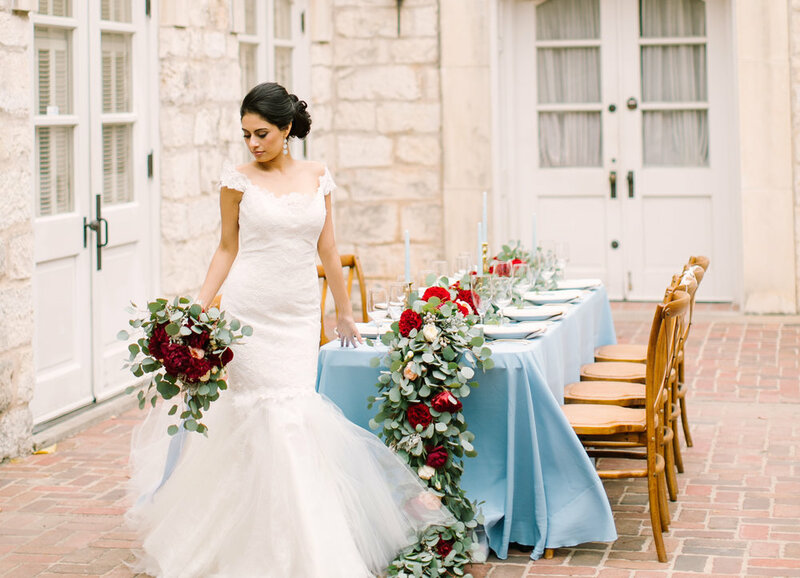 From our romantic courtyard to our elegant ballroom, Chateau Bellevue offers a picturesque setting for your special day. Whether you’re looking for a space to host a rehearsal dinner, anniversary party, fundraiser, corporate event or weekly luncheon, Chateau Bellevue is the right fit for you. Chateau Bellevue is the perfect backdrop for photo shoots, whether it’s bridal portraits, engagement photos or commercial/styled shoots. 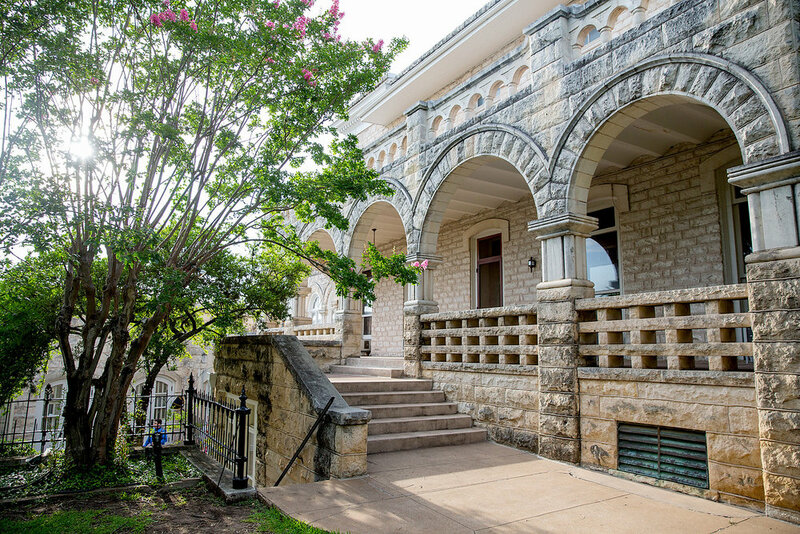 Chateau Bellevue is preserved And OPerated by the Austin Woman's Club. To learn more about our organization, please click here. Our mission is to preserve the historical and architectural heritage of the North-Evans Chateau, and to serve the public through community service, including educational, civic and social activities.